I love Halloween. I love the fun-spirited decorations, the chance to have fun with friends, and the fact that you can enjoy Halloween simplistically or elaborately. It's fun for children and adults alike, and it happens in the autumnal beauty of the best time of year. But that same sense of free-wheeling fun opens some doors to deep-seated issues. You've probably seen the campaign started by Taylor See and her friends from Ohio University. 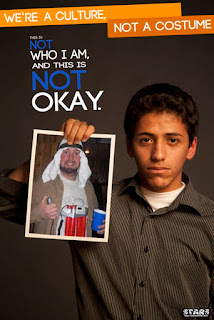 "We're a Culture, Not A Costume," the series of pictures reads, each with someone from a minority group holding up a picture of his/her culture being boiled down into one stereotype for a Halloween costume. Many people praised the effort to raise awareness about the consequences of such demeaning costume decisions. Others took it as an opportunity to mock the attempt. By copying the style of the campaign, an internet meme has popped up mocking its message. It includes things like a golden retriever holding a picture of a man in a dog costume, a cartoon unicorn holding a picture of someone in a unicorn costume, etc. The mockery ranged from the silly to the mindlessly cruel, escalating to a picture of a monkey holding up a picture of Taylor See herself, an African American woman. She took the high road, responding to this blatant racism by saying, "That was just awful. The fact that people think that's OK shows why this discussion is still relevant and important, unfortunately." Many of the people participating in the mocking photos say they are doing so to point out the need for people to lighten up, to see a costume as just a costume. But what is a costume, really? “Halloween costumes are often an open window to some of your inner desires, buried feelings, or subconscious,” says Nancy W. Berk, PhD, a clinical psychologist in Pittsburgh, PA. A costume could grant a one-night reprieve from being “pent up,” thus opening the door to life on the wild side or lets you finally show off the witty personality you suppress to maintain a professional persona. “It’s a safe way to express things like sexuality and allows someone to be irreverent without many, or any, consequences,” Berk says. Mardi Gras has long been an occasion for the city to laugh at tragedy and aim barbs at authorities, and given all the pain New Orleans has suffered in the past year the irreverence should reach new heights this season. Costuming, at it's very core, is about the ability to express something that can't always be expressed. A chance to be someone you are usually not. Sometimes, that something is silly, but perhaps silliness is what's missing from the costume-wearer's daily life. That's been at the core of many of my costumes. One year I went as a blue crayon. I wasn't making a political statement, but I was taking an opportunity to be silly and carefree in the midst of a typically busy and serious lifestyle. 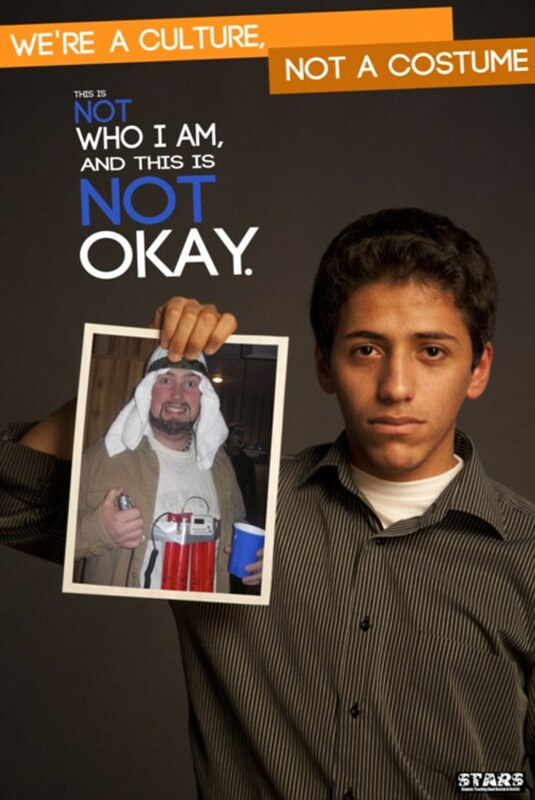 Sometimes, costumes can offend other people. I'm sure that were politicians and others in charge during the Katrina crisis that were offended by the Krewe du Vieux. That's kind of the point. The costumes acted as a way to express a frustration with the system that would otherwise go unheard. It was a platform for discussion that reached people in a way no other form of communication would. I'm not saying that a costume can never offend and that just because someone is offended we have to stop using them. However, I feel the people who think the "We're a Culture, Not a Costume" campaign needs to lighten up are not truly examining the implications of such costumes. And doing so might seem a bit frightening because no one wants to admit to participating (even as a spectator) in a racist or oppressive culture. At the very least, continuing to dress up in stereotypical ways dismisses real people's responses. Even if the costume-wearers didn't intend to offend anyone with these costume (and, honestly, racism and culture appropriation are so common in this culture, that I can see how some people--especially those who haven't had to deal with being stereotyped or mocked themselves--could truly think their costumes were just for fun), they can't continue to say that now that people are coming forward and saying, "Hey, I'm offended." To continue to degrade and stereotype entire cultures of people under the guise of "fun" is to dismiss these heartfelt and eloquent calls for recognition. Once you know that someone is offended by your actions, if you keep doing them, your intention is to offend. And, you're right, you have the "right"--whatever that's worth--to continue doing so. Free speech means you can put on your "PocaHottie" costume and enjoy your night, but it does not mean that you get to do so without consequences, and one of those consequences is denying the validity of the pain that action causes.